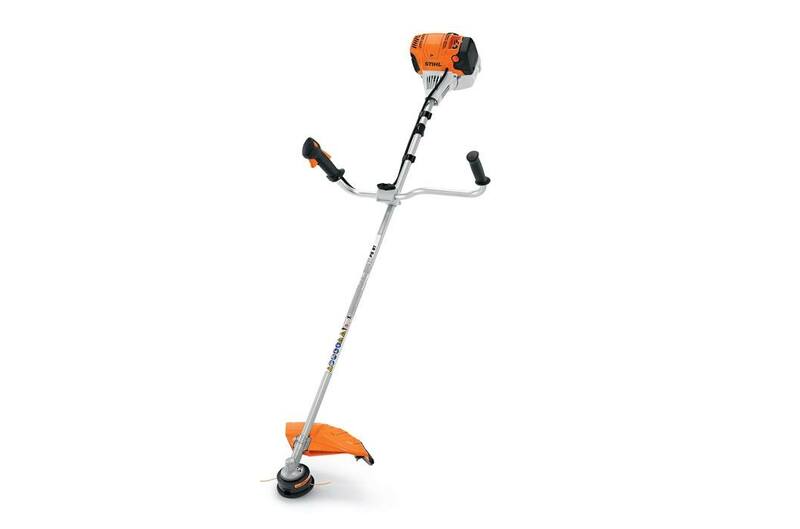 If you're a landscaping professional who uses their trimmer for mowing applications, grab the powerful STIHL FS 91 trimmer. Its bike-handle design adds greater comfort and leverage, thanks to its redesigned rubberized grips. The trimmer also features one touch stop and a simplified starting procedure enabled by the semi-automatic choke lever. Its low-emission engine is paired with a larger fuel tank, delivering 30% longer run times when compared to the FS 90. The engine also includes improved air filtration and STIHL exclusive IntelliCarb™ technology for maximum RPM. And when the terrain gets tough, this trimmer's solid steel drive shaft accepts a wide range of heavy-duty cutting heads, including metal blades, for maximum versatility.